Three players who Chelsea could target after World Cup. Real Madrid, RB Leipzig and Stoke City stars all feature. Do you agree with our selections, Blues? The World Cup not only provides players with an opportunity to pursue the gold-dust of the game. It can also help them place themselves firmly in the shop window right in the heart of the summer transfer window. 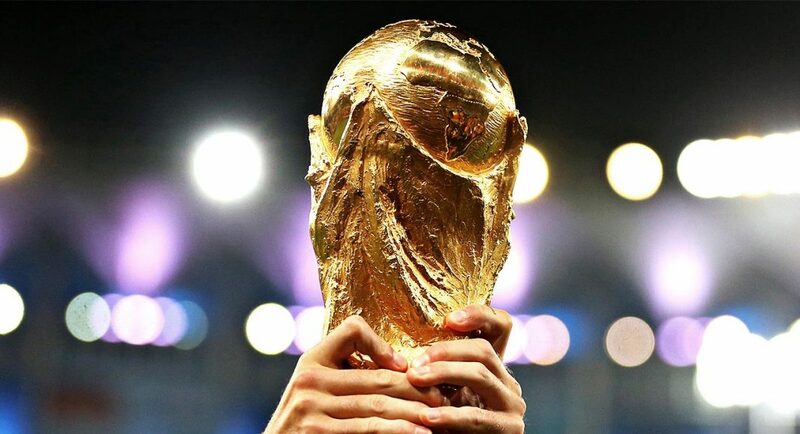 In a few months you can start betting the World Cup along with million fans around the world. We’ve chosen three players who could play their way onto Chelsea’s transfer radar if they are able to produce stellar World Cup 2018 campaigns. Do you agree with our selections? Can any of these go all the way in Russia? Spanish publication Don Balon have recently reported that Chelsea are considering making a move to sign Isco this summer. They believe that there is a host of Premier League interest looking to land the Spaniard. 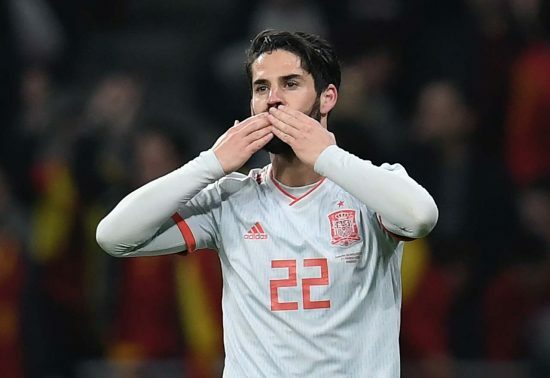 Isco bagged a hat-trick against Argentina in a World Cup warm-up friendly in the recent international break. 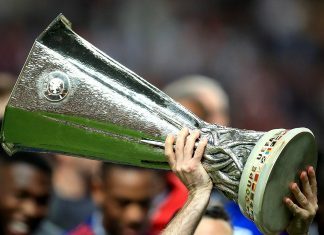 If he is able to replicate that kind of stunning performance in the actual competition, the desires of any interested parties will only intensify. The Real Madrid midfielder would provide a more dynamic alternative to Cesc Fabregas, who is not as mobile as he once was. Signing a player of his quality would go some way to bridging the gap between ourselves and champions-elect Manchester City. 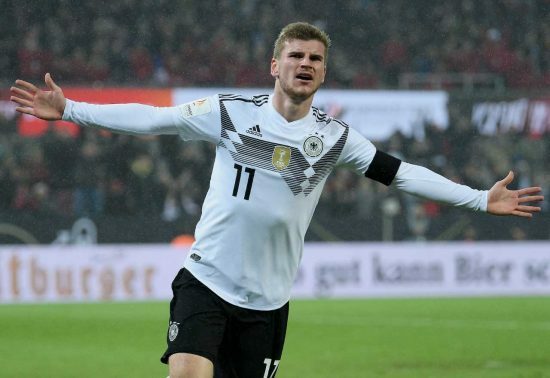 There’s no concrete evidence of Chelsea interest in signing Timo Werner, but we wouldn’t be surprised if he emerged as a top target this summer. The Premier League champions will likely be in the market for a new centre-forward (again), and Werner ticks all of the boxes. The German speedster found the back of the net 21 times in 32 appearances for RB Leipzig last season. He’s well on his way to bettering his highest-ever single-season scoring campaign, having bagged 19 goals already this time around. Wener has also scored seven goals in 12 appearances for the German national team. He will be going to Russia as part of Joachim Löw’s squad. This could be his chance to propel himself to the summit of the football world. As Sky reported back in January, Spanish football expert Guillem Balague claimed that Real Madrid had placed Chelsea goalkeeper Thibaut Courtois high-up their summer shopping list. We wouldn’t be opposed to cashing-in on the lanky Belgian, who hasn’t been at the races this season. We’re beginning to question whether or not his heart’s in it. The time may have come to seek a replacement. With Joe Hart out of the picture, Stoke City goalkeeper Jack Butland has a great chance of being named England’s number one for the World Cup. Gareth Southgate has Butland and Jordan Pickford to decide between. 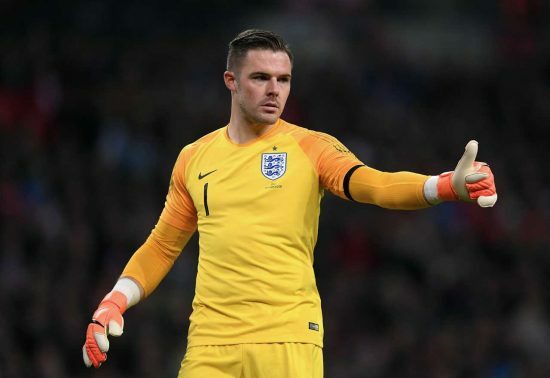 If Butland is entrusted to start between the sticks, we wouldn’t bet against him putting in some uncharacteristically solid performances for an English goalkeeper at a major tournament. Previous articlePOTENTIAL LINEUP: Is this how Chelsea will shape-up against West Ham?